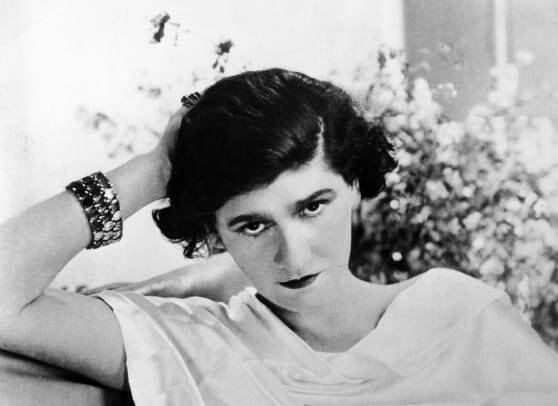 Coco Chanel: Fashion and Poverty. Coco Chanel was born on the 19th of August, 1883, in Saumur, France. Gabrielle Bonheur Chanel (her birth name) was sent along with her two sisters, at the age of 12, to an orphanage after their mother passed away. Her two brothers were sent off to a farm to work as child labourers. The nuns at the orphanage taught her how to sew – this set her on track to becoming one of the most influential fashion icons and designers that have ever lived. She opened her first clothing shop in 1910 (selling hats) after a brief singing career and, in the 1920’s, she launched her first perfume. She went on to create clothing dedicated to being fashionable as well as comfortable – my kind of lady! She died on the 10th of January 1971. What makes Coco truly special is that her designs are still fashionable today. The trademark little black dress, suits and scent are a few of her classic creations. Perfume “is the unseen, unforgettable, ultimate accessory of fashion. . . . that heralds your arrival and prolongs your departure,” Chanel once explained. She will forever be a fashion icon who famously said,“luxury must be comfortable, otherwise it is not luxury.” The evolution of her life was drastic: her beginning was anything but glamorous and the end was anything but not. Karl Lagerfeld decided to uphold Chanel’s legacy by taking the reigns of her company just over a decade after her death. Today, the company is held privately by the Wertheimer family and it generates hundreds of millions in sales each year. Not only have her designs continued to thrive but her legacy and story does too. From movies to books – everyone across the globe has heard of Coco Chanel. I hope you enjoyed the post! Previous Previous post: The Royal Wedding 2018: Best Dressed! Next Next post: 2018 Billboard Music Awards: No Best Dressed?